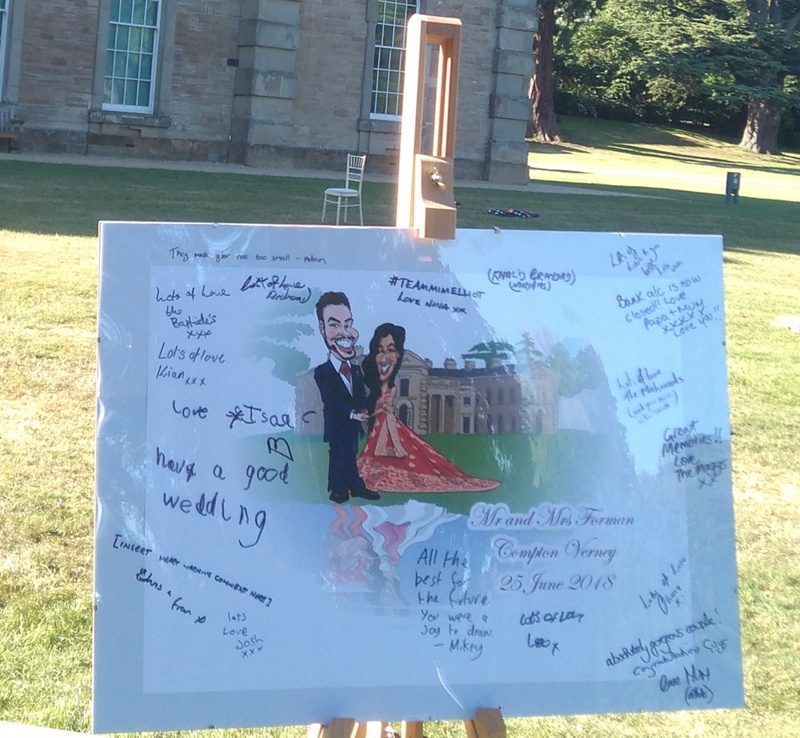 Hola Hello, and thank you for stopping by latest update on what I’ve been up to and some Caricature Wedding Message Signing Boards. 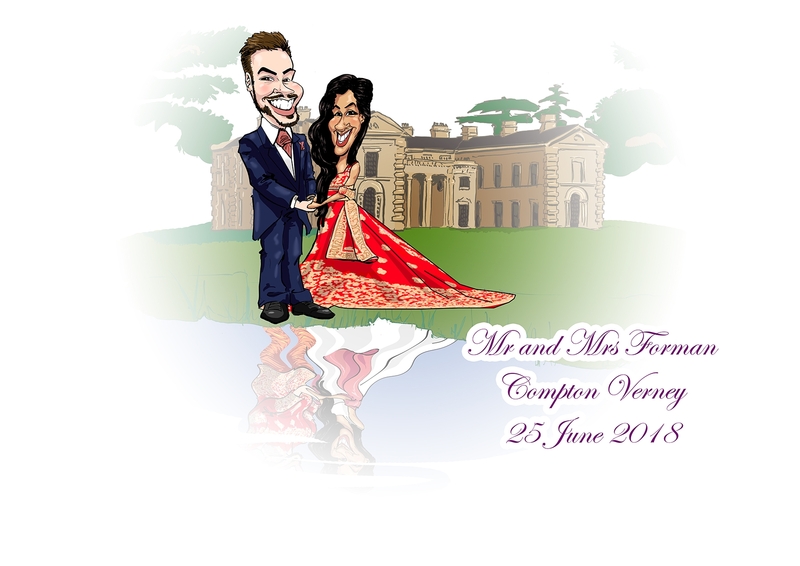 First we have Elliot and Miriam’s Wedding from June 2018. 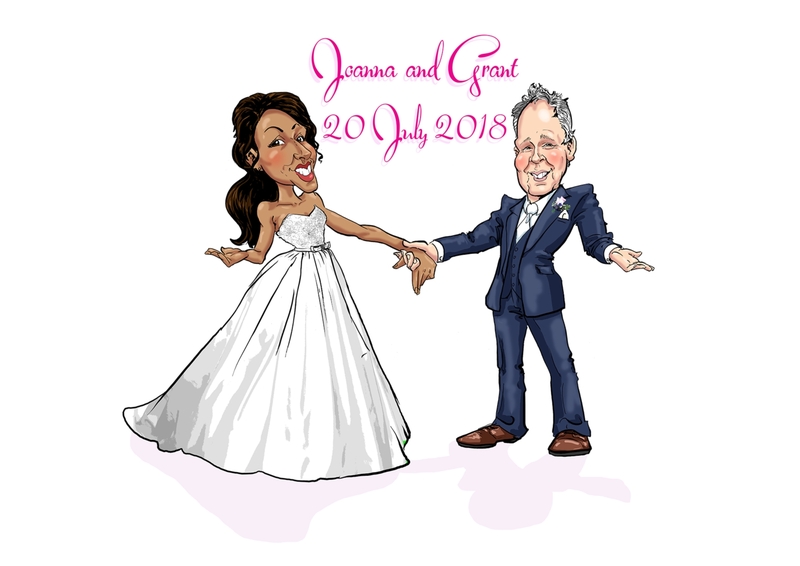 Next Joanne and Grant’s Wedding in July 2018. 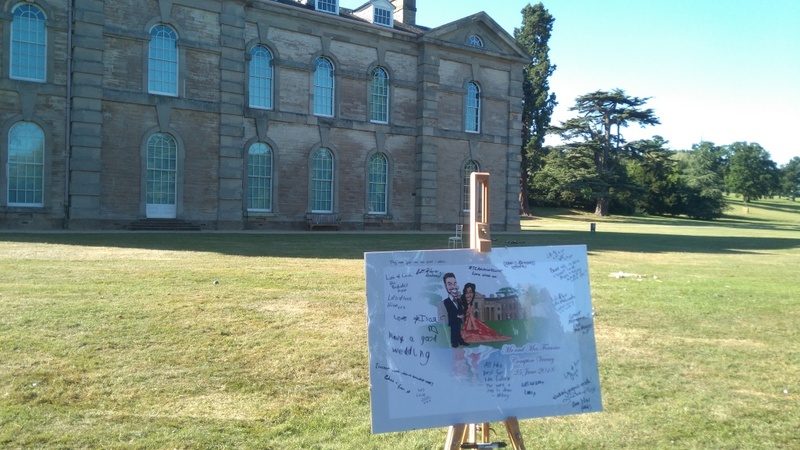 It was a busy Wedding… as well as myself there was a Magician, Kids entertainers and later the Bride and Groom had different surprises for each other on the day that neither knew about of which one was singing waiters. Below is their simple message signing board that they commissioned me to draw. 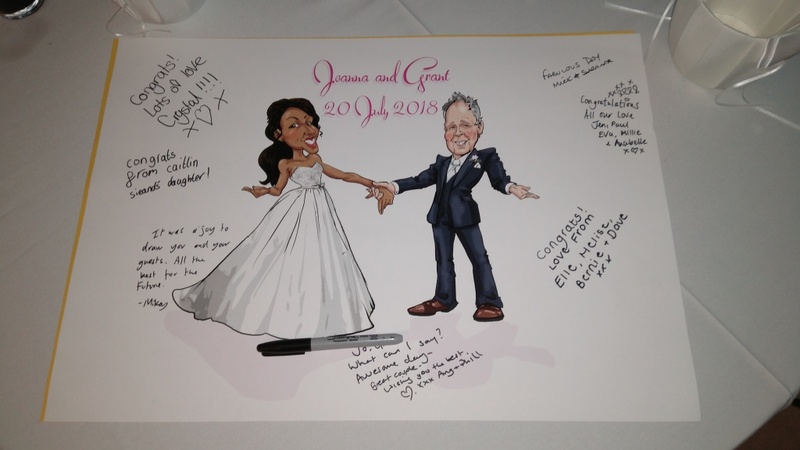 If you’re interested in a Caricature messaging signing board for your wedding or even just as a way for guests at a birthday or office party to say thank you and for you to keep after then please drop me a line with what you have in mind.